::  m.cmd    选择指定分区时要执行的命令接口执行是附加参数分区号例 set m.cmd=echo时,执行(hd0,0)的菜单就相当于执行echo (hd0,0). ::      hd_part.lst cmd="echo" return="configfile (md)4+8"
set /a "p_attr &= ~0x800"
::set /a "p_attr |= 0x800"
set /a "p_attr |= 0x80"
Type `help <command>’ for more specific information on <command>. WEE access disk sectors only using EBIOS(int13/AH=42h), and never using CHS mode BIOS call(int13/AH=02h). So, if the BIOS does not support EBIOS on a drive, then WEE will not be able to access that drive. WEE supports FAT12/16/32, NTFS and ext2/3/4, and no other file systems are supported. 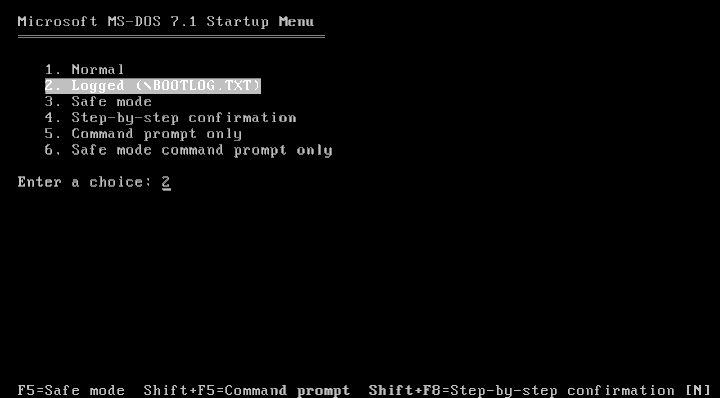 WEE can boot up IO.SYS(Win9x), KERNEL.SYS(FreeDOS), VMLINUZ(Linux), NTLDR/BOOTMGR(Windows), GRLDR(grub4dos). And GRUB.EXE(grub4dos) is also bootable because it is of a valid Linux kernel format. 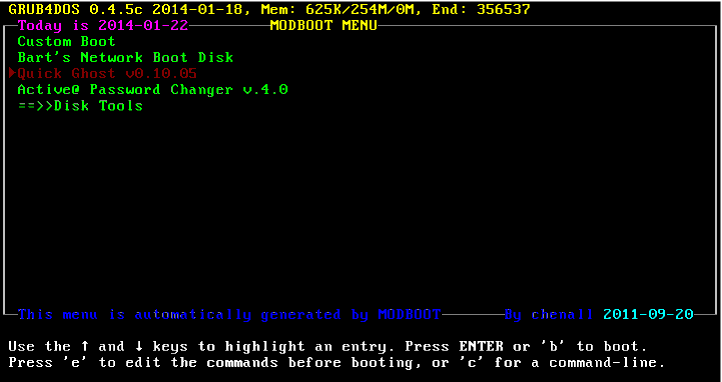 Any single sector boot record file(with 55 AA at offset 0x1FE) can boot as well. Besides, WEE can run 32-bit programs written for it. -i wee63.mbr Use a custom wee63.mbr file. -o outfile Export new wee63.mbr to outfile. -s scriptfile Import script from scriptfile. -m mbrfile Read mbr from mbrfile(must use with option -o). -b Backup mbr to second sector(default is nt6mbr). -l List all disks in system and exit. though also possible to write to ROM by someone who is interested. on a drive, then WEE will not be able to access that drive. because it is of a valid Linux kernel format. checkrange 0xEE parttype (%1,0) && call :Err_msg Not support GPT DISK! checkrange 0x59,0x79 pause || call :Err_msg Cancelled. map --mem=0xF000 /boot/grub/wee63.mbr (rd) || call :Err_msg /boot/grub/wee63.mbr not found. cat --locate=wee (rd)+1,0x1b8 || call :Err_msg wee63.mbr file. checkrange 0xCE1A02B0 read 0x60000 || call :Err_msg wee63.mbr file. echo wee already installed,Press 'R' to reinstall. pause Press any key to continue . . .
echo Notes: You must use grub4dos-0.4.5b-2010-12-30 or later!